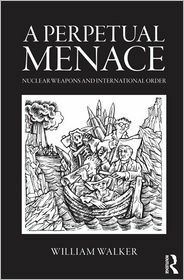 William Walker’s book, A Perpetual Menace , on nuclear weapons and international order is one of the most important additions to the nuclear literature of the past decade. Its main contribution lies in its breadth of analysis, which helps define the nuclear order and chart state-led efforts to shape it from the early 1940s to the present day. By anyone’s standards this is an ambitious undertaking, requiring intellectual sophistication and an almost encyclopedic knowledge of nuclear developments over a period of more than 70 years. Beyond the general theme of nuclear dangers, the message that comes through loudest and clearest in A Perpetual Menace is that the great powers are ultimately responsible for the successes and failures of the nuclear order. Many challenges exist, from the destabilising nuclear arms racing dynamics in the Middle East and Asia to the murky underworld of illicit nuclear trade. But it’s the nuclear weapon states (NWS) that have the greatest power to shape our nuclear future. Although the nuclear defiance of Iran and North Korea often dominates the headlines and preoccupies scholars and practitioners alike, the key point in Walker’s analysis is that these developments should not distract us from the fact that the great powers hold primary responsibility for international peace and stability. The most powerful states have a moral as well as legal and political obligation to engage in nuclear restraint, to bear a greater burden of the costs of building the institutions of effective international governance, and to generate momentum towards nuclear elimination. Until this happens, nuclear weapons will be a perpetual menace. Walker is at his most compelling when addressing this theme, especially in his critique of US nuclear policies during the Cold War and since, but also, at the end of the book, when he begins to question whether, as China and India become more powerful, they will be willing to share a greater burden of this responsibility themselves. It’s not easy to find fault with this book. Some readers may find its US-centrism frustrating, especially given that the book’s conceptual framework lends itself to an even more extensive and inclusive analysis than Walker provides. But the US focus is justified by the fact that Washington has played the most prominent role in the history of nuclear technology. Flawed and criticised as US nuclear policies have been over the years (and Walker’s critique of them is no exception) this book reminds us that the United States has provided more leadership and shouldered a greater burden of responsibility for shaping the international nuclear order than any other state, sometimes showing great vision and at times taking great risks. The key questions that Walker poses in his closing pages are: will China step up and assume more of this burden? If so, when and how? And if not, what would be the consequences for strategic stability, arms control and disarmament? The title of the final chapter, ‘Heading for the rocks?’ encapsulates Walker’s concerns, contrasting the Eurocentric system of military engagement that has dominated the age of US preeminence, with the Asia-centric system of military engagement that is likely to replace it. While the Euro system is now characterised by established norms and security frameworks, the Asian system is still weakly defined. Having exposed this problem and its potential impact on disarmament dynamics, the book unfortunately leaves us without any concrete proposals for change. Rather, it leaves the issue of Asian great power responsibility and nuclear order as an open question, and concludes that serious progress in disarmament is unlikely to occur unless the world is shocked by tragedy into taking action. Tanya Ogilvie-White is a senior analyst in international strategy at the Australian Strategic Policy Institute. A longer version of this article is due to be published in the Spring 2013 issue of the Nonproliferation Review .